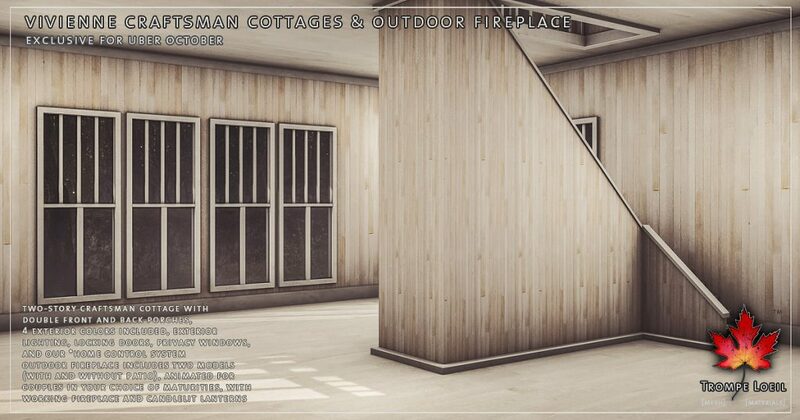 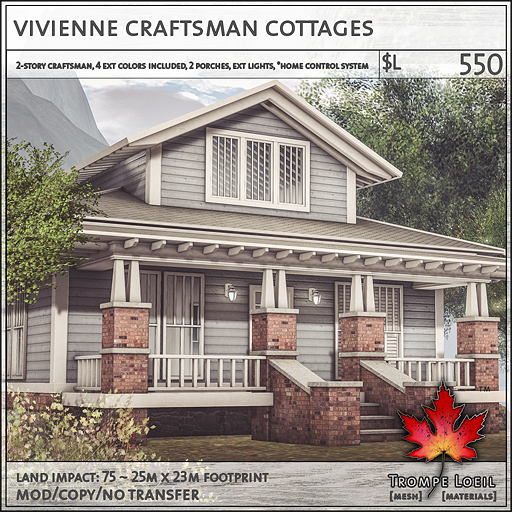 Autumn means coming home to cozy warmth, inside and out – indulge in classic toasty style with our new Vivienne Craftsman Cottage and matching Outdoor Fireplace for Uber October! 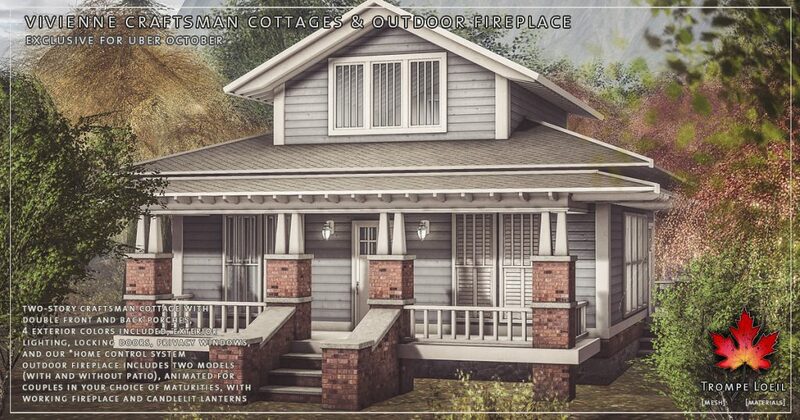 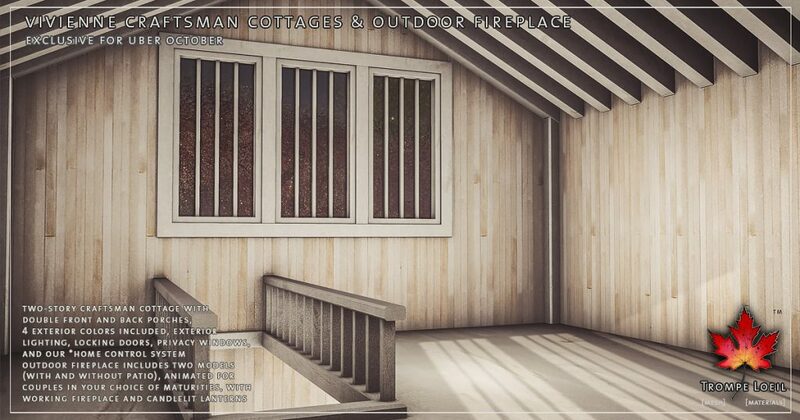 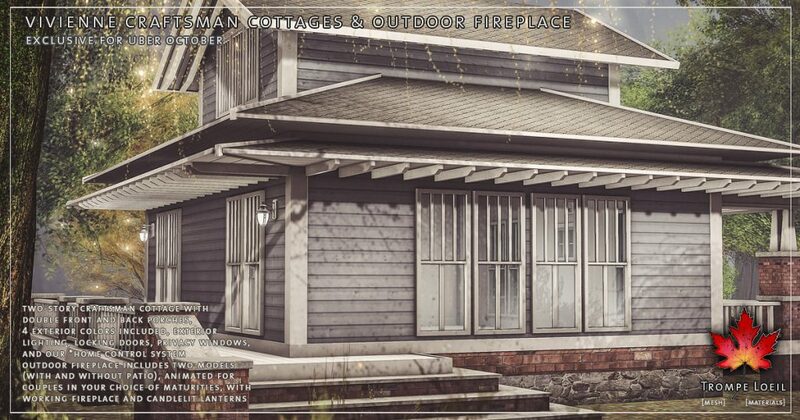 The Vivienne Craftsman Cottage features front and back raised porches, two levels with staircase, exterior lighting, locking doors, privacy windows, and our *home control system. 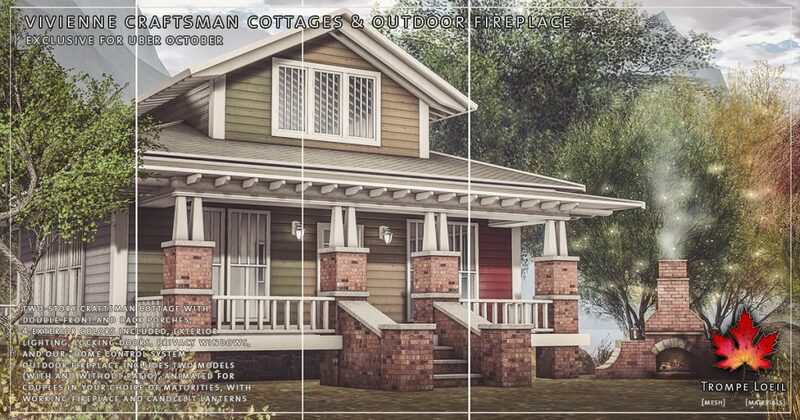 We include 4 beautiful exterior siding colors as well – sky blue, moss green, natural sand, and berry red! 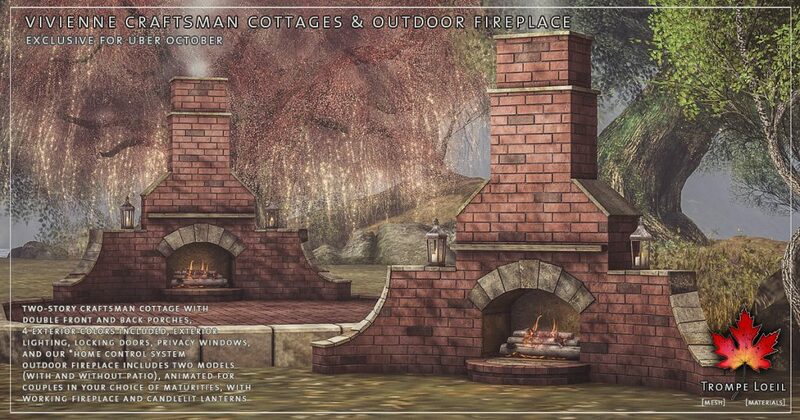 Plus, the matching Vivienne Outdoor Fireplace is ready to fire up your fall get-togethers, with animated working fire and smoke effects, stand-alone and patio models, and couples animations in your choice of maturities for staying even warmer in front of the roaring flames. 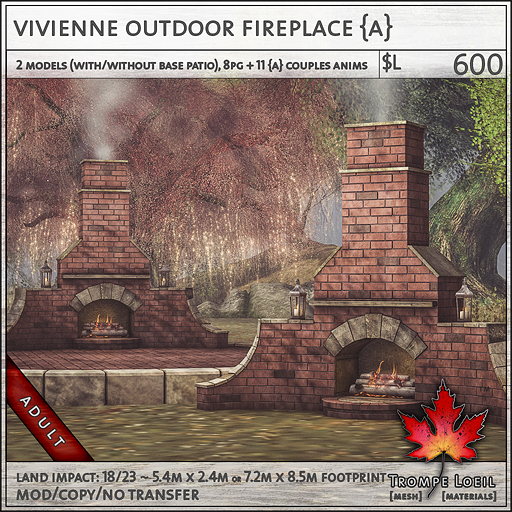 Only at Uber’s October round!